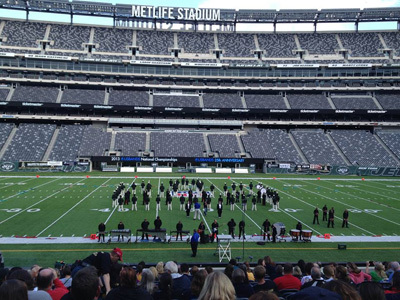 East Rutherford, NJ – November 2, 2013 – The Seneca High School Marching Band of Tabernacle, NJ was presented with the Dinkles Spirit of Band Award at the US Bands National Championship held at MetLife Stadium. 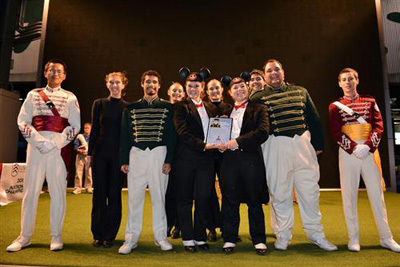 The band, sponsored by Infraspection Institute, gave an outstanding performance and also received their highest score of their 2013 season. Seneca Golden Eagles Marching Band ready to perform at MetLife Stadium.